The advantage of 4-2-3-1 is in having two players in the advanced wing positions to start closer to the opposition and to be able to press higher up. At the same time the inside forward roles will allow them to help out the central striker and his advanced midfield partner. Also for the purpose of counterpress, having four rows of players will allow them to absorb pressure more comfortably, using multiple layers to throw against opposition attack and then launch counterattacks. The attack which comes once the possession is won back by the aggressive midfield and defence, in turn unfolds in a much more intuitive direct fashion as sideways passes are limited when the ball is passed up to players who are already in advanced positions. There are two key things that I need for my tactic to be effective and I will be choosing team instructions to reflect this as closely as possible. Firstly, whole team has to act as one cohesive tight unit in defence to stop the opponent’s attack before it gets deep into our half, and then to win the ball back aggressively and fast. Secondly, they need to launch fast direct attacks to capitalize on the opponent’s disorganization in the wake of losing the ball while still staying as a compact, disciplined unit. The whole team has to run their socks off for 90 minutes, outlasting the opponent in fitness. The more tired the opponent gets while trying to keep up, the more mistakes they will make. While in possession, I want my guys to stay as close together as possible to maintain that cohesive attacking unit in the middle. The only players providing width, should be the two marauding wingbacks, bombing up and down the field and stretching opponent’s defences to their limits. On the other hand, to help with the central compactness, I have the following instructions: Narrow Attacking Width, Shorter Passing and More Disciplined. The more disciplined shout is there to keep a more structured defensive shape and hopefully have less players get out of position while they close down the opposition. This might seem like an oxymoron, but I want them to press as much as they can but do it intelligently and not turn into 10 headless chickens on steroids. At the same time I want the team to move the ball up the field quickly and decisively. To this effect I employ Pass into Space, Much Higher Tempo and Drilled Crosses. To encourage my inside forwards to tuck in more into the middle to help with the press there and to allow the wingbacks to keep up with our fast attack, I have Overlapping on wings ticked. This will also hopefully allow more crosses to be directed to my Pressing Forward, who has high jumping, heading and off the ball to take advantage of crosses and through balls. 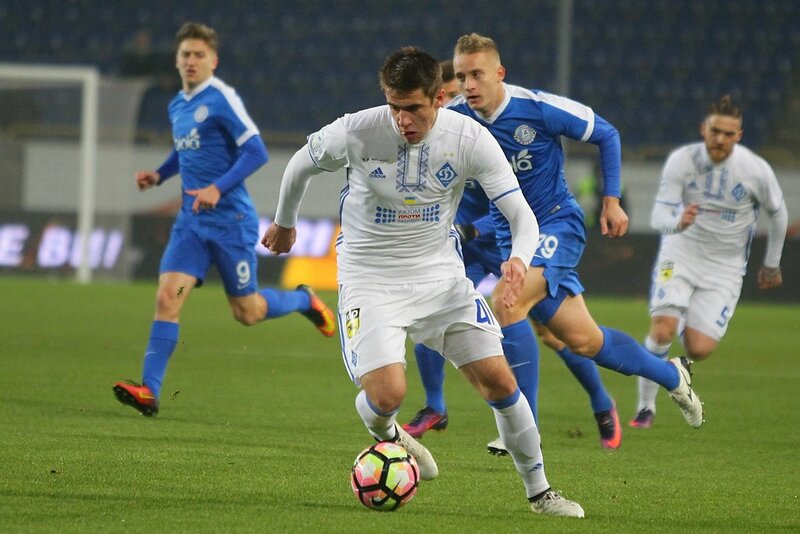 It’s been a turbulent first trimester with Dynamo Kiev, as the team went through some highs and lows. Through all this time, we only had one loss domestically. That one came as a surprise, since it was not from my main title rival Shakhtar but from the less known Zorya. So far I’m 3rd in the league, despite winning 7, drawing 1 and losing 1. The draw was from Shakhtar, unsurprisingly. What is surprising though, is that the Ukrainian League is quiet competitive and not as easy as I expected. Having to face 2 other strong title competitors is not the same as a two horse race between me and the Donetsk “Miners” that I expected. Zorya looks to have had a very strong start which only seems to be getting better. I hoped that after losing its young star goalkeeper Lunin to Real Madrid during the summer it would not be as competitive. Yet, Zorya’s mostly Ukrainian squad has been performing admirably. A testament to the fact that investing in homegrown talent pays off. I’ll have to prepare much better for my future games against them. I’m proud to say that three of my stars of the season so far are homegrown Ukrainians. Besedin, Buyalskyi and Tsygankov have combined for over 25 goals so far. This deadly trio of Pressing Forward, Inside Forward and Advanced Midfielder has also been working hard on the field; running their socks off, tackling and intercepting the ball. As you can see in the following screenshot, the amount ground they covered has been phenomenal. This record can only be rivaled by the double pivot of Garmash and Sydorchuk. The wingbacks worked hard as well, as expected by the demands of my tactic. As you can see in some of the stats below, gegenpressing is working as it should. We are not only getting good results, but are getting them due to our hard work as a team. As the above images shows, our squad is excelling in the distance covered per game, with majority contributing more than 12 km per game. Other key statistics, which I added to my custom “gegenpress” view are the amount of interceptions and tackles won by my defensive and offensive units. As expected, my midfielders and wingbacks have put in the best team performances which really allowed the forwards to thrive. On the right you can see the attributes that I look for in my squad. A lot of the hard work that led to our early successes, has come through the contribution of our pressing forward, Artem Besedin. My favourite player on this team by far. As the in-game description says, the pressing forward is becoming much more important in the modern game. More teams are trying to emulate the counterpressing or gegenpressing systems that brought success to teams like Dortmund, Liverpool, Athletico Madrid, RB Leipzig and Leicester. Throughout the season he has been the definition of a pressing forward. That is a hard-working striker who will win the ball back in dangerous areas and quickly spearhead counterattacks – similarly to how Roberto Firmino works under Jurgen Klopp, Vardy at Leicester, Timo Werner in RB Leipzig or even Diego Costa at Atletico Madrid. Like these more celebrated players he works very hard not only to score goals himself but also to win tackles and interceptions in the midfield and assist his teammates on goals. I mean just to give you an idea how complete a player he is, I will break the fifth wall and fast forward into the future, to show you what he looks like in April. If you look closer at his stats, you can see 25 goals overall, 9 assists and 85% tackles completion rate. So what does he do to actually achieve these statistics? When Pressing Forward role was first introduced in FM 2019, many people thought it was just a renaming of the defensive forward role. And it is true, the role does act like defensive forward, who is tasked with putting pressure on the opponent’s defensive line, chasing down the man in possession, and any loose balls, and in general preventing the opposition defence from having any time on the ball. This is all true when you put him on support or defend. 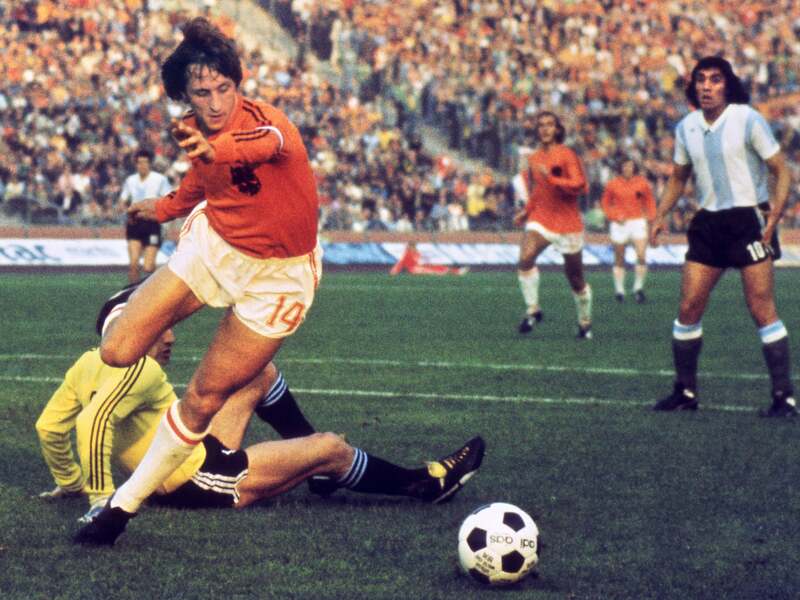 Where pressing forward shines and becomes a truly dynamic role is when he is on Attack duty. When set on Attack, he will not only press the backline and try to bring his teammates into play, but will try to score themselves while in possession. In other words, he turns into a super aggressive Complete Forward-type of player. Due to his exceptional work rate and stamina, the pressing forward will often drop deep into the midfield and help the transition game, even more so than a deep-lying forward or false nine would. From there he will use his acceleration (a key attribute for the role) to get up the field into dangerous positions once the ball is won or he wins it himself (as Besedin often does). Here his good off the ball and acceleration help a lot. Even if he does not have the best technical attributes, he is often able to power his way towards goal through his shear physicality and mental strength. To illustrate this, Artem is not the best finisher (13) with average technique (12), first touch (10) and long shots (11) but his off the ball and acceleration are both 15. And workrate of 20 and 16 for stamina are what make him into one of the best Power Forwards under 23 y.o. As you can see from the heat map of a match where Besedin had one of his best performances, scoring a hat trick, he ironically spend more time in the midfield than near opponents penalty box. Yet clearly, his three goals were not long shots from 20 yards out; all three were from the box, real fox in the box efforts. In fact, the majority of the goals he scored this season akin to a poacher. They were the result of getting on the end of through balls, or whipped low crosses from the overlapping wing-back. Having a high strength and balance (both 15 in Artem’s case) also helps him to power his way through the more persistent defences where a more typical poacher probably would not be able to find the space needed to score. I can count the number of times where he just ran through 2 or 3 defenders before putting away that key goal. Essentially, what makes an Attacking Pressing Forward, is having a player with the right combination of mental attributes (work rate, bravery, off the ball, determination, aggression, anticipation and teamwork) who is also fast and strong. He can essentially act like a dynamic hybrid of a hard-working poacher and false nine. A player who is just as comfortable creating scoring situations, forcing errors from stalwart “parked bus” defences and aiding his teammates in winning possession back just as he is finding open space to run onto the end of through pass. You cannot ask for a more complete forward in a total gfootball-type of system. Finally, the beauty of a pressing forward is that if you do not already have a suitable striker, you can often retrain a midfielder or even a fullback with the right attributes. Its far more important to find mentally determined and aggressive hard working players with exceptional athleticism, rather the most technical finisher. Yussuf Poulsen at RB Leipzig, who is undeniably one of the best pressing forwards in the game, only possesses a measly 10 for finishing. His teammate Timo Werner, is only slightly better with 13. Three players who from the start can be turned into very good pressing forwards are Sergej Milinkovic-Savic (midfielder), Cardiff’s Callum Paterson (fullback), Benfica’s wonderkid Gedson Fernandes. Even Dortmund’s wonderkid Jacob Larsen has the potential to be great in this role. I see him as the next Kevin Volland. But I would love to hear from you. Who have you had success with playing (or retraining) in this role? Here are some of the highlights of the season so far. Domestically, we had some big results in the month of August, such as the 4-1 hammering of Chornomorets and 3-0 win over our city rivals, Arsenal Kiev. But our brightest moment has got to be the 5-1 demolishing of Shakhtar in Super Cup in our very first competitive game of the season. It’s also our first trophy. I’m rather proud of this one as not only did we beat our league rival but we did it in a very convincing fashion. Historically this was Dynamo’s 2th biggest victory over its rival since 1938 start of the Classico Derby (Klasychne Derby) between them. Dynamo has only beat Shakhtar by 4 goals on one other occasion on May 25th 1952 with a score of 6-2. That followed week later by 4-1 win over the Belgian giants, Standard Liege in the Champions League Qualifier. Unfortunately, our Champions League success came to an abrupt end at the end of August when we could not get past Benfica, losing on aggregate by one goal. The initial 0-2 loss at home was costly and bittersweet, since beating them 3-2 in Lisbon proved not enough to advance. The Portuguese heartbreak was somewhat alleviated by the fact that we were not completely kicked out of continental competition, but instead moved over into Europa group stage where we probably have a much better chance of going deep. The first strong win (4-1) against Slavia Prague will hopefully give us enough momentum to get through Group H, which unfortunately also includes AC Milan. But before the famous Milanese we have to face the test of Feyenoord. But more on that next time. Very well written, and a good read on the Pressing Forward. Do you have any player instructions for the positions in the tactic or are they default? Hi Brey! Thank you for reading. In the first couple of games I actually had extra instructions on the wingbacks to stay wider, in order to stretch the field more. But I abandoned those very early on. I noticed that naturally they will still get into wide positions even if the whole team is told to stay compact and tight. In general, the less complicated you can make the tactic the better. Half the game is in choosing the right roles for your players, which will hopefully mesh well together in your tactic. Then second half, is trusting in your players to perform as you envision in those roles. So I don’t know what you have changed in the tactics but even the existing setup works just amazing.. The only issue I am having right now is that we are playing the game multiplayer with some friends and one of them really advance in generating counter tactics. So he knows I am playing attacking with a lot of pressing and he creates a counter attack atrategy to block my possession with the ball hence scoring counter attack goals. Once he does that he blocks the whole so that no more goals can be scored.. So you see I am not so good in quick strategy changes for such scenarios. There are lots of lazy people like me all around. I’m glad the pressing tactic is working well for you 🙂 The article about breaking down defensive teams was actually written by another writer from our site. So if you leave a question there, I’m sure he will respond. Defensive teams are notoriously hard to break down in FM19 so don’t feel so bad. Just keep trying and most importantly have fun! Thanks for your assistance, it is highly appreciated. One last thing I am wondering is in FM19, away and home games are quite different. With this tactic home games are relatively easy, however away games are always harder. My question is how do you change Dynamo tactics for home and away games. For example, do you always play in more positive (attacking) mentality or do you set it for controlled for away games? Sorry for my many questions. No problem at all! When I play an opponent that I think is weaker than me (which tends to be most teams in the league) I usually keep positive mentality even at away games. For the tougher opponents, such as in Champions League and Europa League, I’ll tweak it to Balanced on away games. Also adjusting the roles on the fullbacks, making them into simple fullbacks instead of wingbacks helps in making the team more solid in the back. Hope this helps! Yeah, it makes sense 🙂 thanks a lot. I will have other questions but I won’t bother you anymore with them.. If I stuck badly, I know where to consult now!! Your blog gained a big follower. I love how you compose stories with real-life inputs. My favourite story will always Labonovskiy and his glory against Barca! Last night I lost another 2 away games 😦 I applied adjusting the roles on wingbacks and changing style to balanced. Do you think I should tweak the defensive lines too? They are always set to highest, maybe it creates some disadvantages?